Rancho Santiago College sped off to an 8-0 win in this March 1988 game and Brett Snyder helped fuel the win. Snyder picked up four hits in the game, according to The Los Angeles Times, including a solo home run late to cap off the victory. Snyder went on to play at Yavapai College and in the pros. His pro career, however, was brief. He played a single season. 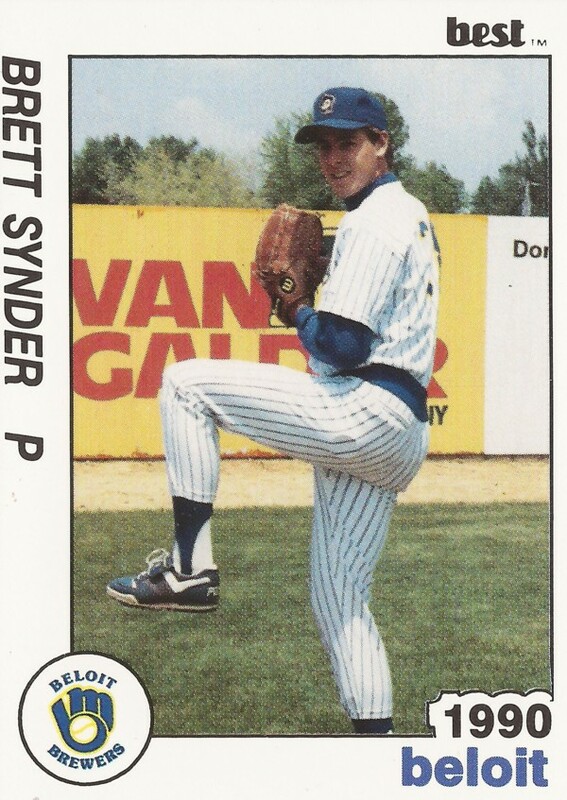 Snyder's pro career began and ended in 1990, signed by the Brewers as an undrafted free agent out of Yavapai. Snyder's name has also been spelled Bret Snyder and Brett Synder. In high school in California, Snyder won section player of the year honors in 1987. He threw a two-hitter in a March 1987 contest. Snyder picked up a win for Rancho Santiago in a May 1988 game. The Rangers drafted him that June, but he didn't sign. At Yavapai, Snyder knocked an RBI single in a March 1989 game. He then signed with the Brewers that September. Snyder played with the Brewers at single-A Beloit. He got into 30 games, starting 7. He went 1-4, with a 3.32 ERA while picking up three saves. His season at Beloit, however, marked the extent of his pro career.